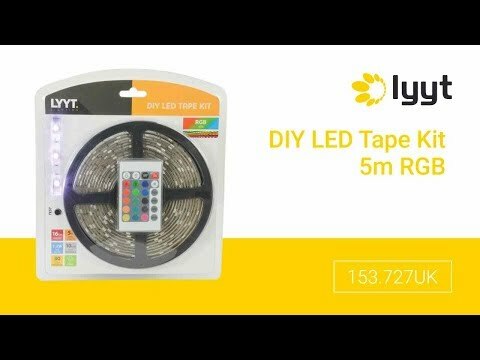 Retail ready blister packed RGB LED tape together with a mains power adaptor, IR controller and connection accessories. The tape has a transparent coating to provide weatherproof protection and can be cut to length as required. Low voltage 12Vdc operation and self adhesive backing allows for quick and easy installation in the home, motor home, or vehicles. RGB controller for LED tape operated by an IR remote control for selecting the static colour, brightness or colour changing operating mode.